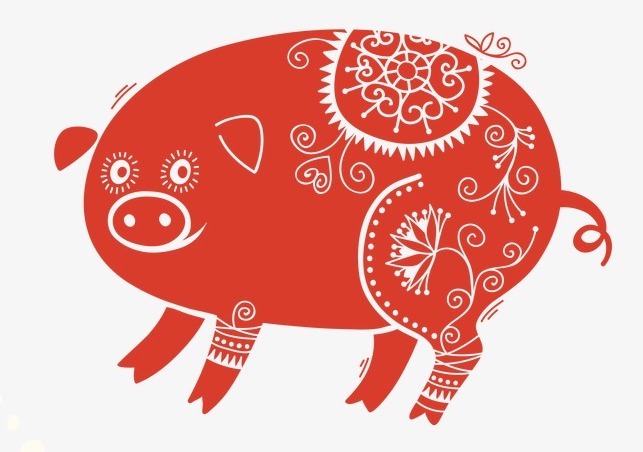 February 5, 2019 is the start of the Lunar Year of the Earth (Brown) Pig, one of 12 signs of Chinese Zodiac. Of the five Taoist elements Fire, Earth, Metal, Water, and Wood, this is the year of the Earth Pig. Earth element relates to the qualities of stability, nourishment, and harmony, and is also connected to the digestive system in Chinese medicine. The Earth element in a balanced state allows for easy transformation of raw materials into energy and vitality, both in the realm of food and of thought. Similarly to last Year of the Earth Dog, paying attention to one’s diet (mental and physical) and supporting our digestive systems will help us make the most of the Earth element abundance in this new year. 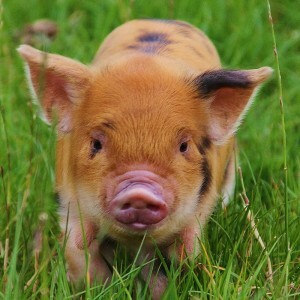 The Pig’s innate element is Water, and combination of Earth and Water can result in excess Dampness in Chinese Medicine, which manifests in our bodies as variety of digestive problems and sometimes excess weight gain or sensation of heaviness. To counterbalance this dampness this year, it can be helpful to take saunas, eat warm, cooked foods and add ginger cardamom and cinnamon to the diet to aid digestion. It will also be helpful to support smooth flow of energy and healthy circulation in our bodies with regular acupuncture treatments and energetic movement practices, such as Qi Gong or Tai Qi. The strong influence of the Water element this year may bring more rains and increased danger of flooding of low-lying lands. It may also create difficulties with clean water supplies and oil spills, while volcanic activity and earthquakes will tend to settle down. The Pig year brings the energy of sticking closer to home, discouraging too much travel. Because of the “homebody” tendency of the Pig year, governments will pay more attention to the domestic issues and policies, and regional governing bodies will tend to have a stronger impact than national ones. The peaceful Pig will foster smoother transfers of political power than usual. Overall it will be a good year to plan a business, and an excellent time to launch ventures involving home building, natural sciences, education, publishing or food service. Businesses in which people are working together as partners or teams will thrive. Also, the Pig values relaxation and rest that follows a period of hard work, so this will be a good year to retire or start planning to do so.The spirit of generosity will be strong and people will be more inclined to help others less fortunate. This will be a good year for cultivating domestic skills such as cooking, sewing, and gardening. Food will be very important this year and will lead to more cooking and sharing of festive meals. Comfort foods and family recipes will be especially prevalent. Emotionally, people should have easier access to affection and consolation of their loved ones, and any confrontations should be quick to diffuse. The Pig’s main goal is contentment and enjoyment of life – resetting and preparing for the new 12-year cycle. It will be a particularly beneficial year for those born in the Tiger, Rabbit and Sheep years, though most other “barnyard animal” signs (Ox, Horse, Rooster) will also do well. Snakes, Monkeys and Pigs may find this year more challenging. This post drew on the following articles: this one by Lillian Pearl Bridges and this one by Susan Levitt. You can visit the above links for some more detailed analysis for this Lunar New Year. This entry was posted in Clinic Updates, Helpful Tips, Uncategorized and tagged community, healing by Sarana Community Acupuncture. Bookmark the permalink.